Sisters Sarah and Sophia Stephens perform together with Sarah earning the yeoman role of Dorothy. She handles it with wide-eyed innocence and a spectacular singing voice that rings through the rafters of the old Grandel Square Theatre. 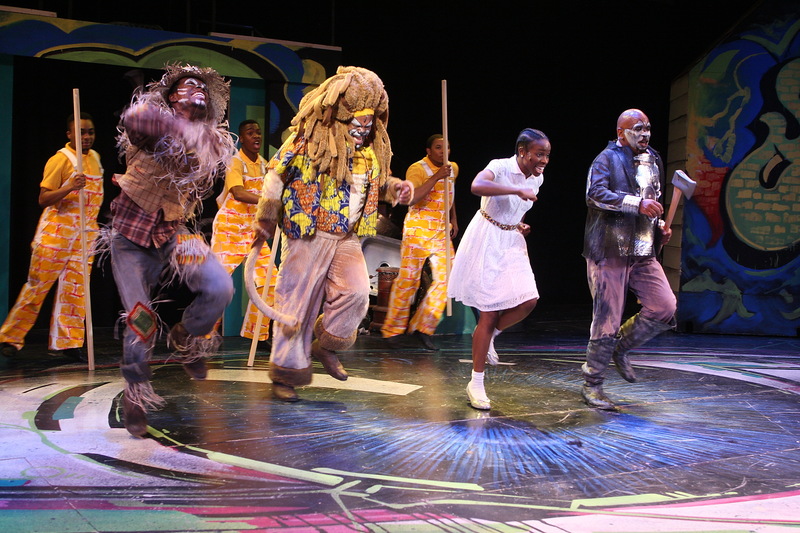 She is poised and handles the acting and dancing chores as well as belting out the tuneful score. Her sister Sophia also shines but only briefly at show’s end when she enters as Glinda and also brings the house down with a smooth and silky singing voice. It’s the old “Wizard of Oz” story with a funky beat. Although not as tight as the original, the colorful cast of characters are all there and each gets a moment or two to stand out. Nakischa Joseph gets things started on the right foot as Aunt Em as she professes her love for her niece in the touching song, “The Feeling We Once Had.” As the show gets on the “road,” so to speak, Dorothy encounters the Munchkins and a delightful performance by Linda Kennedy as the Good Witch Of The North- also known as Addaperle. She soon discovers the Scarecrow in search of a brain- played with magnificent pliability by Ian Coulter-Buford. His number, “I Was Born The Day Before Yesterday,” shows off his singing skills as well as his Ray Bolger-esqu dances. Cedric Neal is a powerhouse as the all-talk, no-action Wiz. His numbers, “So You Wanted To Meet The Wizard” and, especially his second act blockbusters, “Believe In Yourself” and the rousing “Y’All Got It!” are both scene-stealers. Raphaelle Darden makes her evil presence known as Evillene- the Wicked Witch of the West and Daniel Hodges does some fine work as her underling as well as the skittish Gatekeeper. Director Ron Himes keeps the pace moving with the only slow-downs being a few of the scene changes that could have been crisper. Choreographer Cecil Slaughter has done wonders with the driving music and he is blessed with a dancing chorus who is precision-perfect. Musical director Charles Creath does a fine job but it’s too bad they couldn’t have put some brass into it because this show really needs that driving sound that only a brass section can deliver. But he has the chorus singing and blending beautifully to match the power of the featured cast. The clever Dunsi Dai set design works well and the inventive Sean Savoie lights are a wonderful complement to the proceedings. 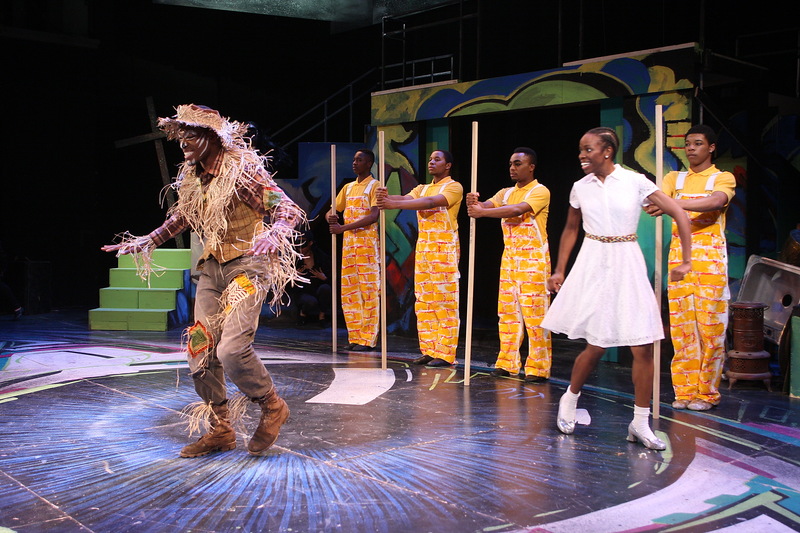 The colorful costumes of Sarita Fellows are right on the mark from the Scarecrow, Tinman and Lion costumes right through to the other principles and the wonderful orange “brick” overalls and yellow shoes and poles of the four gents playing the Yellow Brick Road. This is a really good production with a lot going for it. 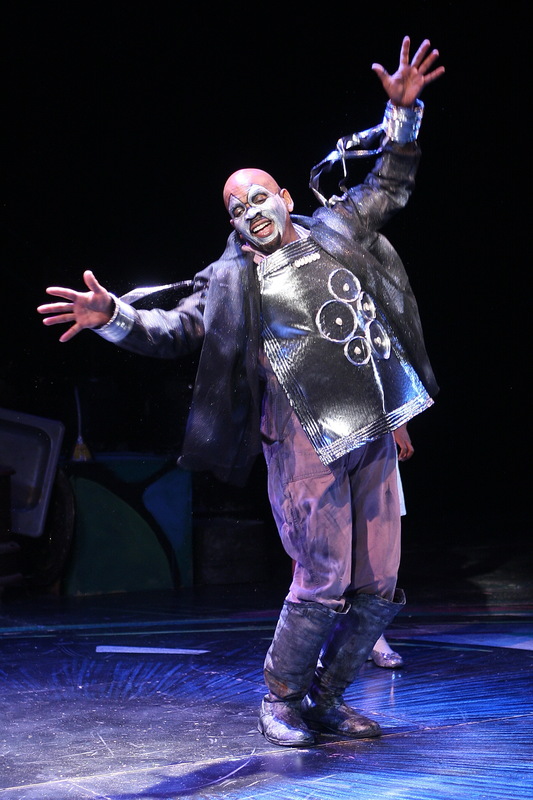 Give them a call at 314-534-3810 and join in the rousing good time that is “The Wiz” at the Black Rep. It runs through June 30th. This entry was posted on May 31, 2013 at 9:43 pm05 and is filed under Uncategorized. You can follow any responses to this entry through the RSS 2.0 feed. You can leave a response, or trackback from your own site. congratulations to the director, cast and crew! have a phenomenal run!